This Pinup Photo was added on Sunday 27 November, 2016. 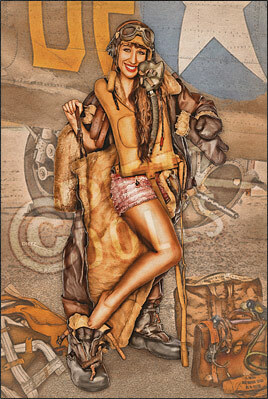 Featuring Ashley in this Army Air Force B-17 Pinup! With the amount of gear that a typical B-17 crewman would wear during a 7-8 hour mission in temperatures that could reach -60 degrees at the full 20,000 feet altitude; I'm sure they were just as excited to get home and get that gear right off. Here, Ashley has returned from a mission and is shedding just about everything non-essential. 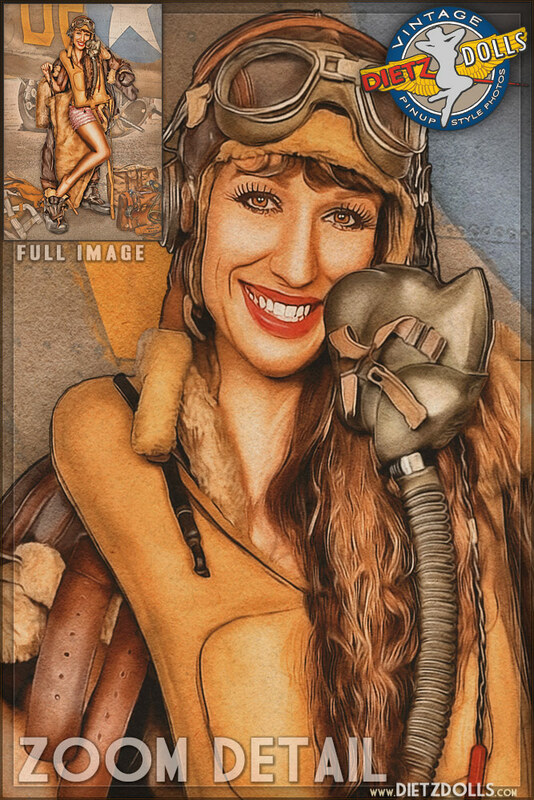 She's wearing and surrounded by authentic WW2 gear and equipment that a typical early 1943 B-17 gunner might have. They have been carefully researched and many months gone into collecting the correct gear.